Have you found an online vendor selling Clairin Sajous? This is a stunning product. The wild yeast fermentation provides such a rich pallette of flavours and aromas that it is guaranteed to provoke some, but I find they are all balanced — if such a word is proper for a rhum this overly funky and rich. Unaged, untamed but still balanced, I find, classic cane juice nose initially but a bit of breathing will add perfumed rubber, cottonsedge and anise-citrusy spices (those who dislike it will rather say it smells of a randy ram on a rainy day and burnt tyres). You might want to add a few drops of water if you are not used to cask strength, and you will be surprised how it is turned into a spiced, fruity rhum experience with its own idiosyncratic style reminiscent of eccentric rhums agricoles, Jamaican funk and outer space juice. You might also want to follow Zaphod Beeblebrox’ advise and "never drink more than two (...) unless you are a thirty ton mega elephant with bronchial pneumonia”. First tried the 2015 version of this at the Manchester Rum Festival in 2017 and for me this was the best rum/rhum at the event. 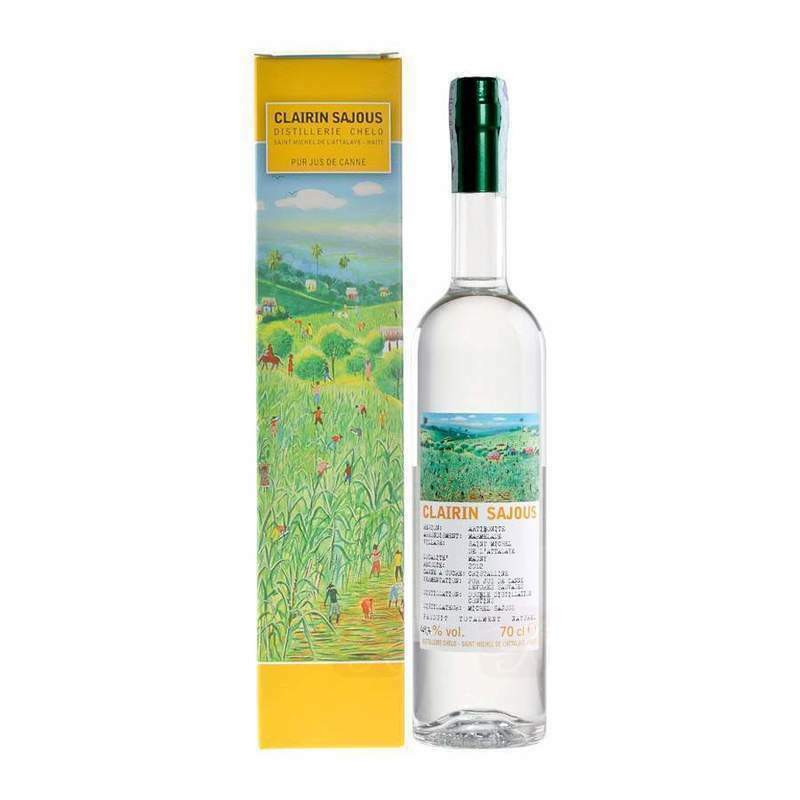 Never tried a Clairin before, so was amased by the amount of flavour in this rhum. Ordered a bottle of the 2013 once I got home and its very similar (to me). If this is the general quality of Clairins, I'll be buying loads of this stuff. fresh sugar cane juice. dry rhum. opening the bottle. putting the rhum into a nosing glas. drinking. sugar cane. grassy. citric. peppery. and salty. and salty. yes, for a rhum very salty :). 9/10 for this fresh powerhouse! Nose: Wet grass, iced buns, ripe mango and a hint of peppercorn. Palate: Bitter herbs balanced by milk chocolate, with continued grassy notes. Finish: Very slightly oak-y. Brown sugar and nutmeg. En bouche : il donne une impression de gras, de velouté. Un peu comme les anis gras. Produit rare. Achetez par curiosité pour ne pas mourir idiot. Je conseille de le goûter à température ambiante. Les saveurs en bouche sont plus discrètes qu’au nez même si on y retrouve les épices et agrumes ainsi qu’une légère touche terreuse ce qui donne un curieux mélange acidité/amertume. La finale conserve une toute petite amertume, liée à de la canne à sucre et du citron. C’est bon. Strong and warm white rum. Great afterraste, citruse tones. 51% ABV. My first clairin—and my first Velier! Big, round nose. Funky creamed corn. Wet rags in a field. Vinegar. Explodes onto the palate. Tastes a bit better than it smells. Smooth and dryish, but big and briny. Somewhat astringent. Quite tasty, actually. Not for everyone, but if you love big-flavored rums, seek this one out! Hopefully I'll get to try some other clairins someday. Un rhum original frais et fruité. Alkoholen træder for meget igennem. Mindre smag end Casimir. Sample.